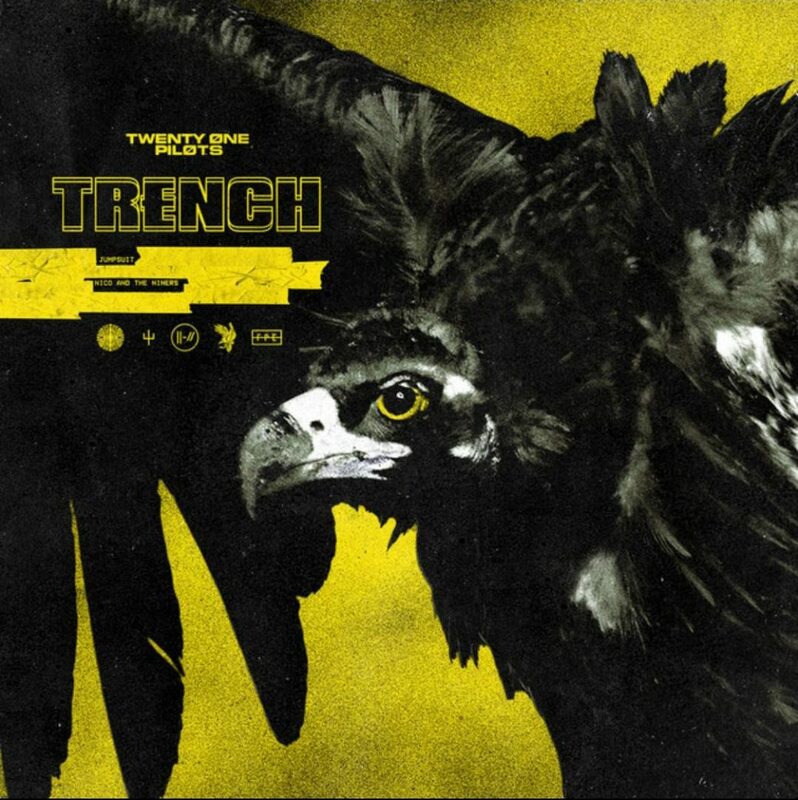 There might not have been a more anticipated record in the lifetime of Tuned Up than Trench. You don’t need us to tell you that. You also probably don’t need me to tell you that, as a MUTEMATH superfan, I was really geeked and hyped on the fact that Paul Meany produced this record and co-wrote multiple songs. So, with these first two points in mind, what follows is my impression of the album. Let’s leave out lyrical and conceptual analysis. I’ll probably be wrong, and some things are best left to speculation. My first impression of this album is that overall it’s darker and more brooding than Blurryface. This is saying something, since the Blurryface character is the personification of Tyler Joseph’s insecurities. Critics of the album might be quick to point out that this album lacks a true “feel good” hit. Blurryface had “Tear In My Heart” and “Ride,” songs that provided a bright reprieve from the brooding rest of the album. On Trench, while it’s true that we have a couple of love songs (directed at Jenna and the fans, respectively), we don’t have any stereotypically “happy” songs. Though, that doesn’t mean we can’t have fun while listening. The prog-rock influences of “Jumpsuit” really get my adrenaline going, and I have to fight the urge to scream (terribly) along to Tyler’s final refrain of “Jumpsuit! Jumpsuit! Cover me!” The way that “Jumpsuit” flows flawlessly into “Levitate” is the first obvious indication of Paul Meany’s involvement. The way the song is simultaneously drenched in reverb and grooves is a trademark characteristic of MUTEMATH. “Morph” and “Chlorine” and early highlights of the record for me. The latter marches along surely and assertively, with some morbid lyrics open to interpretation. The hook is one of the most fun and haunting melodies of the record. “Morph” is almost too cool for its own good, bringing forth a sample line that reminds me of a mid-tempo 90s hip-hop track. Maybe Dr. Dre? I’m sure the music blog powers that be are gonna come down on me for that line! Oh well—let em! The back half of the record is full of moments that encapsulate “the feels.” Anyone that has read a review of Trench so far (yes, even on Saturday we’re a bit late posting this) has seen that “Leave the City” is a moving, emotional, and fitting end to the record. However, “Bandito” is my personal favorite moment of the back end of the record. It has an exploratory feel that will lend itself to both late night fall drives and background music for reading/working. Trench is a place inside Tyler’s mind and is similar to the imaginary, yet all too real, places we all travel to in our heads on a regular basis. Trench explores these places with poise and a dash of surrealism. It’s interesting and emotional. It’s too soon to say where this album will end up on my year end list, but I would consider this to be the most cohesive release by the duo yet.